Money Makers are Rainmakers. Client Developers are Rainmakers. After obtaining a certain level in an organization, a professional understands that he or she must make a quantum leap, to become a Rainmaker. They must develop new business. The word “Rainmaker” comes from the American Indian tradition. The Native Rainmaker called upon magical powers to bring life-giving rain to his people. 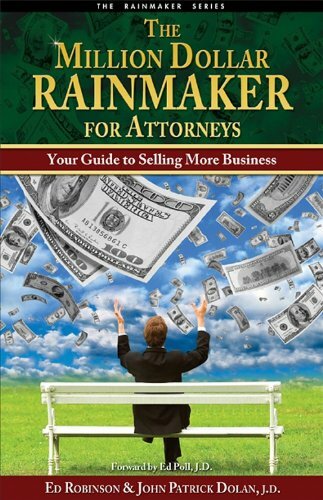 Let Ed Robinson’s entrancing story about a modern Rainmaker who knows the secret to finding and keeping clients guide you in your transition to becoming a Rainmaker in your legal practice.